We expect that IYWC will provide a profound ground for efforts and activities worldwide and contribute to addressing current and emerging water related challenges, as well as to discussions on post-2015 development agenda related to water, including the ongoing intergovernmental deliberations on sustainable development goals on water and sanitation. As you might be aware, the Republic of Tajikistan has initiated several resolutions of the United Nations General Assembly, including the International Year of Freshwater, 2003, and International Decade for Action “Water for Life, 2005-2015”. In 2010, the delegation of the Republic of Tajikistan to the UN proposed a new resolution of the United Nations General Assembly (UNGA) that would facilitate coordination and collaboration addressing the current and emerging freshwater issues and problems; would unite efforts undertaken by governments, international and regional organizations, business communities, scientists and other representatives of civil society. Bearing in mind this, my delegation in October 2010 proposed the UNGA resolution on International Year of Water Cooperation, 2013, which was adopted by consensus later in December 2010. The International Year of Water Cooperation (IYCW) is intended to unify all efforts, both undertaken and planned by the UN system, other international and regional organizations, governments, civil society and entrepreneurs, in order to increase awareness of freshwater-related problems and ways to resolve them, creating a favorable environment for generating new ideas and searching for the most efficient ways to address the internationally agreed development goals regarding freshwater resources. In what way do you think the UNGA resolution on implementation of the IYWC will contribute to reaching the goals of this year? For the successful implementation of the Year the Permanent Mission of the Republic of Tajikistan to the UN initiated the resolution entitled “Implementation of the International Year of Water Cooperation, 2013”. The official World Water Day event dedicated to water cooperation, the theme of the International Year, will be held on 22 March 2013 in The Hague, the Netherlands. A High-Level International Conference on water cooperation, to be held in Dushanbe, Tajikistan, in late August 2013. Preparations to the abovementioned international events would be coordinated in a manner that would provide logical connection and continuity among them and other related to the IYWC activities. In this connection, we are closely cooperating on water and sanitation issues with all the UN agencies and other international organizations, as well as with the UN member states. In addition, at the initiative of Tajikistan, in 2009 the Water Friends Group was established at the UN Headquarters in NY. We will call on all our national, regional and international partners to hold relevant events on achieving the IYWC goals, including by way of various seminars or meetings. We are confident that the governments will take an active part in the High-level Interactive Dialogue in New York, and High-level International Conference on Water Cooperation in Dushanbe, with the focus on water problems and challenges that can be addressed through development of cooperation at all levels. What will be the role of the meeting in August in Tajikistan in the IYWC? As I have mentioned earlier, we are trying to provide coherence between events that have been envisaged by the UNGA resolution on the implementation of IYWC. Frankly speaking, we believe that the deliberations of the High-level Dialogue that would be held on 22 March 2013 in New York could be continued during the High-level International Conference in Dushanbe in August 2013 in wider and deeper scope. During the High-level Dialogue in New York and High-level International Conference in Dushanbe there will be held exhibitions (posters, books, audio and video materials, etc.) dedicated to water cooperation that will highlight water issues and challenges faced by the nations and their population. Since water cooperation is a comprehensive issue, we believe that the preparation for the events should involve international and regional organizations engaged in addressing and finding solutions to water issues, as well as all stakeholders, including businesses, NGOs, women and children organizations, local authorities, etc. I would like to inform you that the Government of the Republic of Tajikistan has already established an Organizing Committee for the High-level International Conference on Water Cooperation, to be held in August 2013 in Dushanbe. 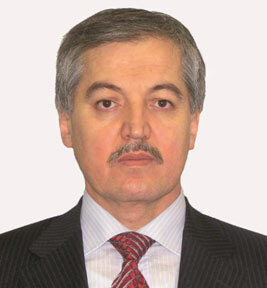 The Organizing Committee is chaired by the Prime Minister of the Republic of Tajikistan, H. E. Mr. Oqil Oqilov. We encourage the participants of the Dushanbe Conference, in addition to sharing their experiences and ideas, to formulate their specific proposals and suggestions on ways to move forward in the solution of water problems and addressing water challenges. Moreover, we expect that during the preparation period the Organizing Committee of the Dushanbe Conference will be collaborating with the organizers of other regional and international events on water cooperation. How can the Zaragoza Conference contribute to the IYWC? I see a special role of the Zaragoza meeting in implementation IYWC. The specific role of the Conference is that it will consider different cases of sharing the experiences on effective water cooperation at different scales. I am confident, that the participants will succeed in finding a common approach towards how can we do 'better' in water cooperation through sharing lessons from experiences. Discussions at the Zaragoza Conference would lay down the foundation for a broad scale discussion to be held during the events envisaged by the resolution. The Zaragoza Conference recommendations will be given due consideration during the preparation to the High-level Dialogue and Dushanbe Conference. The participants must be aware of the fact that their discussion is part of a further broader discussion that will involve the UN member states and other stakeholders. It is very symbolic that the title of the Zaragoza Conference is “Water cooperation: Making it Happen!”. Tajikistan believes that today’s freshwater problems are not the result of lack of international agreements, decisions and recommendations in this area. Much more effective and concerted measures, together with a much stronger political will be required at all levels to implement those decisions and action programmes. To address effectively the freshwater issues and problems, the international community should take coordinated, purposeful and long-term actions that will unite efforts undertaken by governments, international and regional organizations, business communities, scientists and other representatives of civil society. Enhancing international and regional cooperation.